The Central Kalahari Game Reserve is not only one of Africa’s largest game reserves but one of the largest in the world at about 53,000 km2. The sands of the Kalahari cover almost two thirds of Botswana – perhaps an odd thought for a country which is particularly known for its delta waterways. 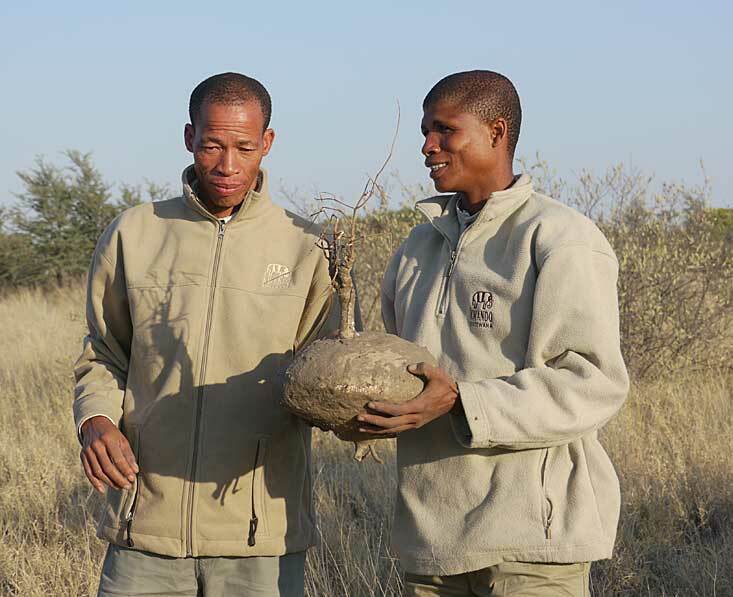 The reserve was set up in 1961 ostensibly as a refuge for the San Bushmen tribe. The San Bushmen have now mostly moved from these traditional lands to places on the outskirts of the park. 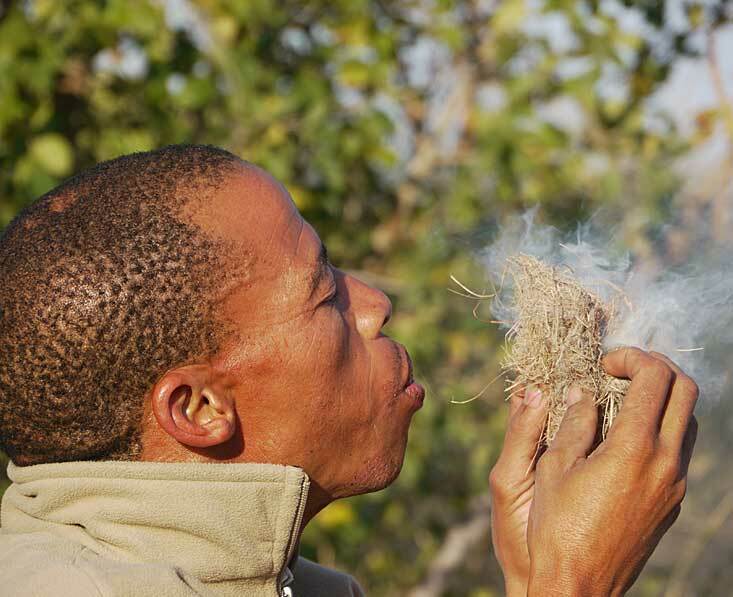 However you can still get an idea of what traditional San Bushmen life here would have been like as some of the lodges employ San Bushmen guides. They are very happy to share tales of their life and show you some of the skills that were needed to stay alive in this inhospitable place. It’s a fascinating privilege to gain this insight from them. 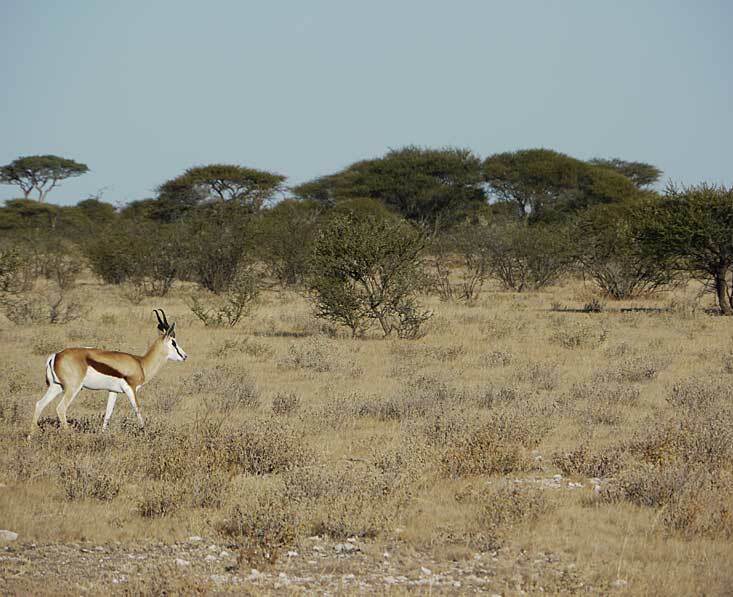 The Central Kalahari reserve is made up of salt pans, vast grasslands and acacia forests. There are dunes, but these are mostly vegetated dunes, rather than the kind of sand dunes you find in the Sahara. It is also famous for its ancient fossil river beds, which form valleys through the bush. Deception Valley is the most famous of these (valleys). There is a surprising amount of wildlife here given the fact that it is so arid and barren. Black-maned lions roam often singly through the reserve (until mating time when they make sure they find the females of the region), jackals, cheetahs, leopards, bat-eared foxes and rare brown hyenas are also found here. 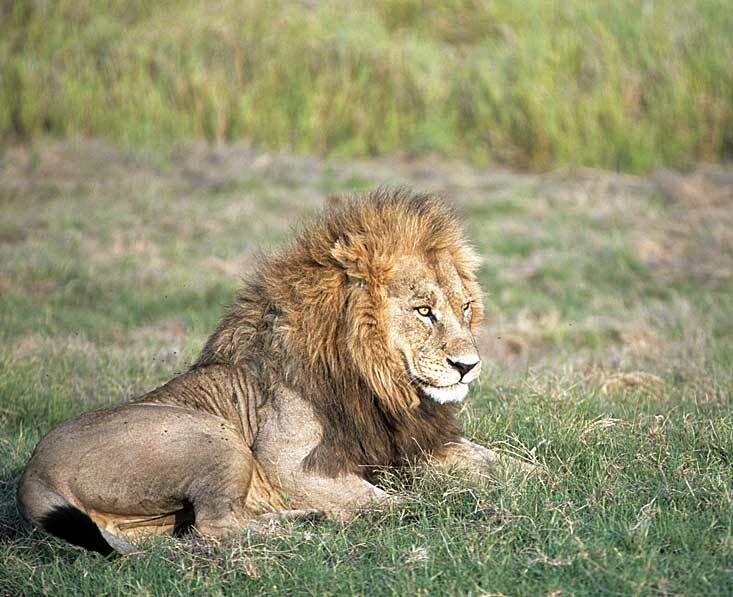 These predators feed on plains game such as gemsbok, duiker, springbok, hartebeest, eland and wildebeest. In the rainy season (such as it is) the birding is good too. 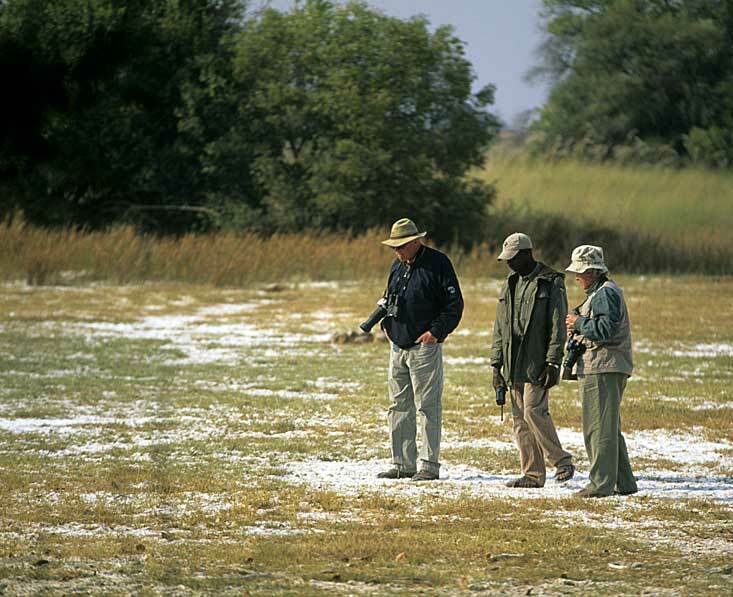 Game viewing in the Central Kalahari Game Reserve is best during and shortly after good summer rains (in the rainy season) (November – March) as the harsh landscape turns into a flourishing paradise and rain water accumulates in seasonal waterholes on the pans. At this time thousands of antelopes can be seen in the lush grazing areas, closely followed by hungry predators, and the sunsets are magical. However you might simply want to come to see this rather amazing area for the landscape alone as it is quite awe-inspiring in its size and drama. There are various different regions in this huge landscape. These are some of the more well-known. An ancient 80 kilometre dried-up riverbed, this area is incredibly lush in the rainy season which attracts thousands of plains game. Some stay around in the dry season, but it is a much harder life here once the surface water has gone. 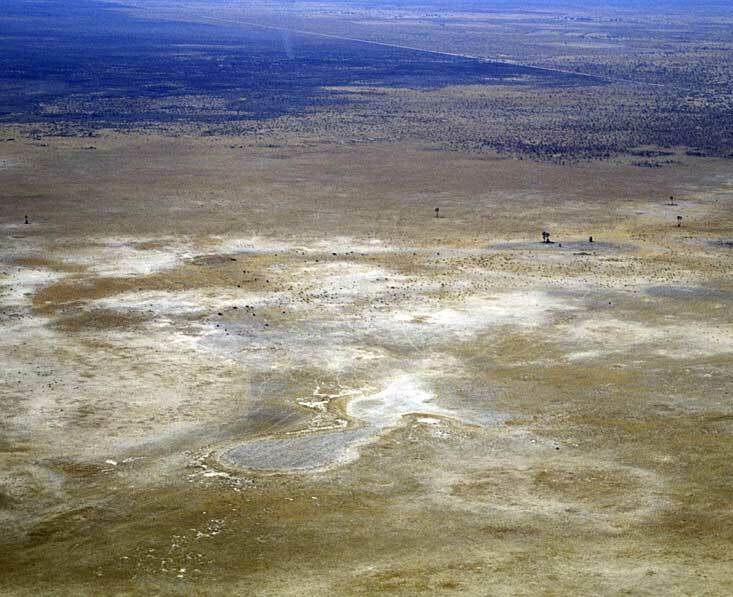 The valley was the setting for the book ‘The Cry of The Kalahari’ by Mark and Delia Owens. Tau Pan (the most central camp to the main pans in this northern area) and Kalahari Plains Camp (furthest south) are the two closest to this valley. Deception Valley Lodge is actually just outside of the Reserve in the north east. If you’re coming from the north, this is about as far south as most people get. This is a flat expanse of grassland which, in the rainy season, is covered with springbok and gemsbok, and as the rains dry up is left with what looks like vast golden barley fields (around May/June). Grasslands Lodge and Kalahari Plains Camp are the closest to this pan. 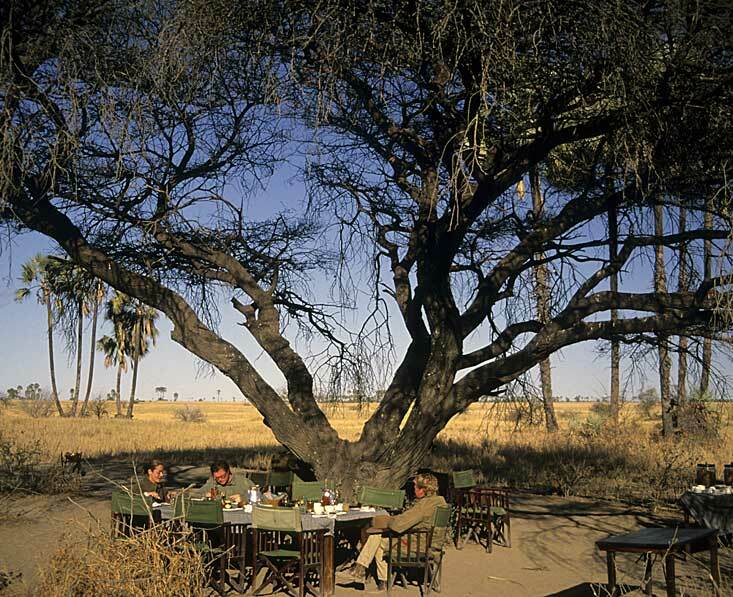 Tau Pan is a stunning area of open grassland fringed by acacia trees and other vegetation. Wildlife likes the grasslands here and there is enough protection from surrounding small trees for the plains game to have a little safety. The lodge of the same name is the best place to base yourself for this pan. Most visitors fly into the Kalahari, though there are also some mobile safaris which drive here, and you could get here on a self-drive if you are very confident driving in sand (otherwise the chances of getting stuck or lost are quite high! ).